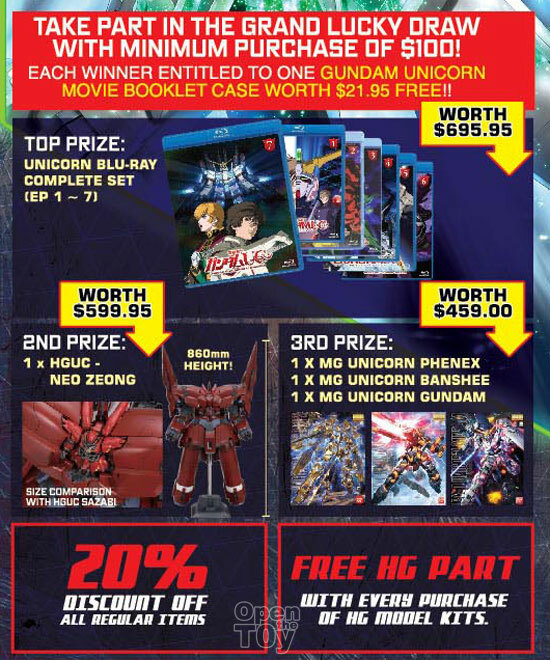 As Gundam Unicorn episode 7 will be screening on the same day with Japan 17 May 2014 at Vivo City, there will be limited edition only selling on that day at VivoCity ToysRys. 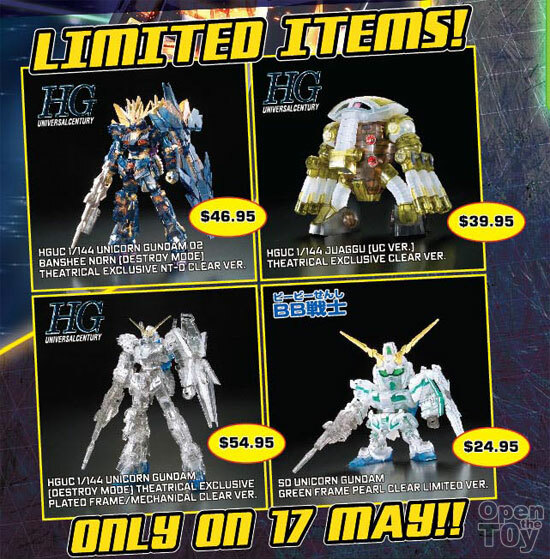 Here are the limited edition items only on sales at VivoCity ToysRus on 17th May 2014 only while stock last! If you hold a Star Member card in ToysRus, you can enjoy discount in getting the HGUC Full Armor Unicorn Gundam Destroy mode that day too! With purchase of minimum of SGD$100 that day, you be able to join the lucky draw to win the following prices. 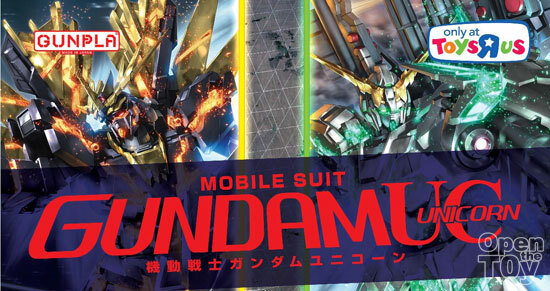 On that day in VivoCity ToysRus, there will be 20% off on Gundam Model kit of all regular items and you get Free HG part with every purchase! Here's a glimpse of the HG parts which you can enhance your HG Gundam model kit! Do note that the screening is only for those who have won the contest earlier and they will be no ticket on sale that day. If you did not win the tickets, you can always head down to ToysRus to get those model kit with discount that day!